After using RevitaLash for three months I could see a noticeable change in the length and thickness of my lashes! Truly an amazing product!! Soften your lashes with this advanced eyelash conditioner crafted with a blend of botanicals and peptides. This enhanced formula adds nourishment to your eyelashes to enhance your beauty. Love, Love, Love this product. I had been using prescription Latisse and got hooked on having long eyelashes but Latisse is really expensive and requires a doctor prescription so Started to read about revitalash. I was a little skeptical at first since its sold without a prescription but many of these newer cosmeceuticals are pharmacologically active and this had good reviews. I was shocked that it actually works better than Latisse and is less expensive. One tube of this lasts me about 3 months and I tend to apply it pretty generously. I shopped all over the web and Overstock.com consistently has the best price on this product. Aside from the fact that this still isn't really cheap there are no downsides to this product. I recommend it to all my friends. My daughter has used this product in the past with great results and recommended it to me. My eye lashes were getting sparser with age so I decided to try it. I have been using this product for about 4 weeks and have noticed longer lashes and a little thickening as well. I did experience, during the first 2 weeks, a little minor itching but nothing other than that. There may have been a very mild lightening to my iris which is dark brown anyway but nothing noticeable. It is easy to use once at night like an eyeliner and after the first couple of weeks there are noticeable results. I plan to keep using this product and would recommend it. 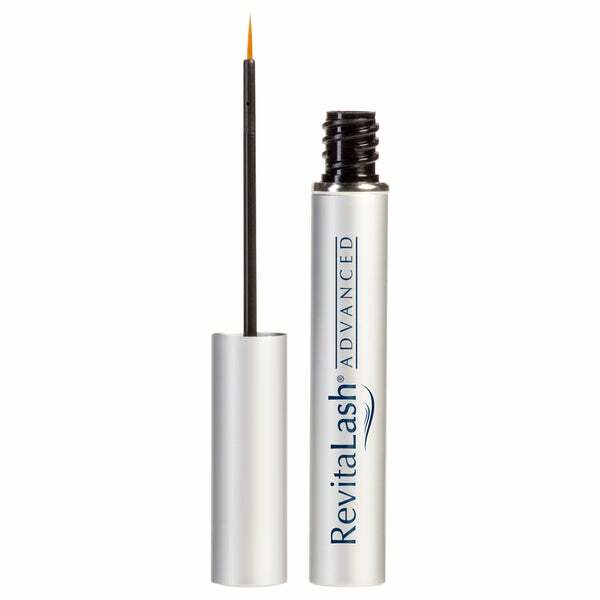 About 2 years ago I purchased Revitalash Advanced Eyelash Condition and the product was wonderful! Unfortunately when I went to purchase another tube they were discontinued. You can imagine my delight when it was again available. I've been applying the product at the base of my lashes every night for almost four weeks. There has been NO change whatsoever. I really feel taken advantage of - I even purchased two tubes this time and feel I wasted my ****- item is nonrefundable. Don't waste your time and money. It doesn't work. I have been using Revitalash for almost 2 years now. I have purchased it from Overstock as well as the Revitalash website, no difference in quality at all. It does take about 8 weeks before you start to see the results, with about 12 weeks full results. You must continue to use the product daily or at least every other day or your lashes will go back into their normal shedding process. This product works by strengthening the root of the lash, preventing it from shedding, and allowing it to grow longer than it would normally. There is a slight burning if you get it in your eye, so don't use too much product or it will bleed into your eyes. I apply a thin coat to both my top and bottom lashlines before bed, when my lower lashes get too long I will stretch it out to every other day. No darkening around the eyes or to the whites of eyes like I've heard with some growth products. This tube generally lasts me about 6 months with everyday use. Revitalash is one of the best conditioners for eyelashes on the market. There are many brands, but in my opinion, this one is the best. I used to have very thick and long eyelashes, but then I got an autoimmune illness and lost a lot of them. A friend gave me this to try, and within 3 days my eyelashes were growing back in. I've been using this now for almost 2 years. My eyelashes are strong, long and healthy. I'm at the point now where I only have to use this 2-3 days a week. This has not changed the color of my eyes like other brands may do. Jill Ireland is another great brand for eyelashes and is slightly cheaper, but RevitaLash is much cheaper here on Overstock. This conditioner saved me! I've been using this product for several months now, and I will keep using it because it gave me the results that I was expecting. My eyelashes are fuller and longer. It worked!!!!!!! I knew I shouldn't of changed my mind. I hope my review saves some people some money and time wasted on waiting for your lashes to grow on products that don't work. I guess this is like most things are you either get the information you need or do by trial and error. Well I did all of the above and will not be changing again. (well if they keep upping the price to a price that so ridiculous) then not only me, but an of us customers should stop buying and see what their response would be then! So, Revitalash works, it's not irritating and you end up with longer and somewhat thicker lashes. Now on the ther hand, it's one of the higher priced items(but lasts 6mon. For 3ml), your area behind your upper lashes might get a bit darker but use a little less of the product until you find your application. I think all our eyelashes are different so our response to the product will be different as well. I didn't get paid to write this or get free products I just would like to help people with honesty. I have used several different brands of eyelash "enhancers," and for me this is the best. The tube lasts a long time, and I have had consistent good luck with Revitalash. Many people have commented on my long, thick eyelashes. I have used several eyelash conditioners but my eyelashes are so beautiful since I started using the RevitaLash Conditioner. I’m so glad that I finally decided to try this eyelash conditioner. I have used this for over a year. 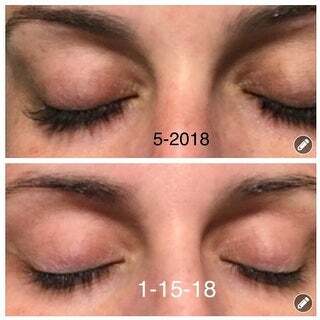 I noticed within three weeks an obvious lengthening of the lashes! I’ve used much more expensive lash boosters and I go back to RevitaLash! It works great at lengthening and thickening! People always compliment me on my long eye lashes. Please be patient with results. It will work! The best eyelash serum out there. It really works! This product works great. I’m currently undergoing chemotherapy and my eye lashes are back after using this product for 1 month. I have been using this product for a few months and have noticed a visible difference in the length and thickness of my eyelashes. Great product!! it works! Lengthens and darkens eyelashes and is easy to apply. I've also used R&F and it works exactly the same for less money. It definitely works! Everyone asks if I get extensions. I wish it made them fuller but still very happy with the product. This really does work. I only use it once a day, on my upper lash line. After 1-month, I can see noticeable lashes. No burning or pain. Easy. This product really does help! I've used it quite a bit & really see a difference when I don't use it. Good product. It Worked well to restore length. I’ve used multiple lash products and this one is comparable to all the other name brands out there. This stuff WORKS! My lashes are soft and long, they almost touch my eyebrows when I have mascara on. Only drawback is you need to use it continuously, otherwise they go back to normal. "to grow longer lashes do I want revitalash advanced eyelash conditioner or revitalash serum"
I purchased this in February. My tube is the all silver tub and says conditioner really small on the side. I can't say anything about the serum but the conditioner definitely has made my eyelashes long and thick. I've thought about going to every other night application because they're getting so long. If there was a way to post a pic, I would. I have the day I started, a pic from April and on from May in a collage. It's signifiant! I just posted a review with the pic collage I was referring to. They've grown even more since mid-May when the last pic was taken. "How much is 3.5ml in oz"
"Is the silver cap older than the blue cap?" YES, completely sealed but there is no date on these. "When does this product expire? The pics show both a silver and a blue cap. The silver cap is old packaging. " I can not find a date or expiration date. Maybe there was one on the box, but i do not have the box any longer. The lid is silver. I have been using this product since i received it and it works awesome. I have longer thicker lashes. I will order again when it runs out. I hope this has helped. "does this change your eye color"
No there is no coloring to this product. No, not at all. I have been using Revitalash for almost two years now. "does revitalash advanced arrive boxed and in sealed tube?" Hello karma, yes, it does. Thank you for shopping with us!